Once Upon a Product: The Captain of my Corn. The Captain of my Corn. 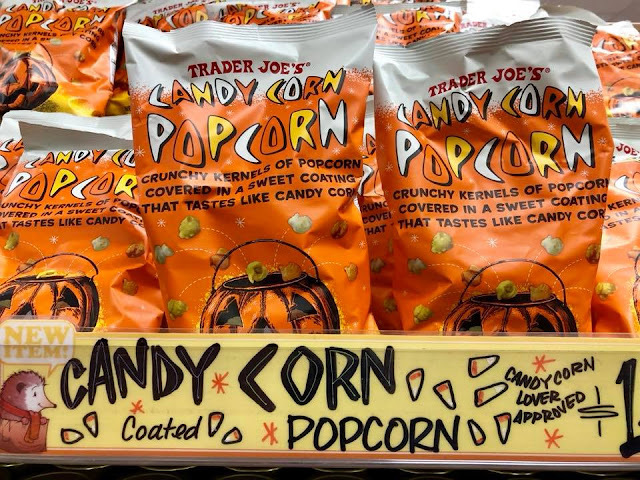 Sometimes the deadly combination of bored and hungry hits me, and I am compelled to leave my house and wander the aisles of Trader Joe's. Sometimes I go into Trader Joe's for two things, and I leave carrying two bags having spent 62 dollars. Also, sometimes I stand in the Cookie Butter aisle talking to anyone who cares to chat, or just listen, about Cookie Butter. My love of all things candy corn is well known, so much so that once September hits people make a point of congratulating me, telling me they're happy for me and wishing me a "happy candy corn season" so I guess I talk about it. A lot. I bought two. To be safe. And duh...Candy Corn Popcorn is delicious. I mean, does it taste exactly like candy corn? Not really. 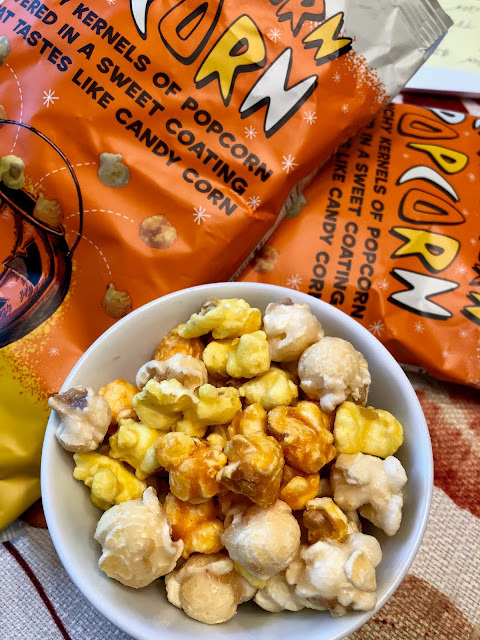 There is a caramel-corn-like-coating on each puffy, perfect kernel -- much more sweet than salty. Anyway...one of the two bags from 45 minutes ago is gone already so what does that tell you. 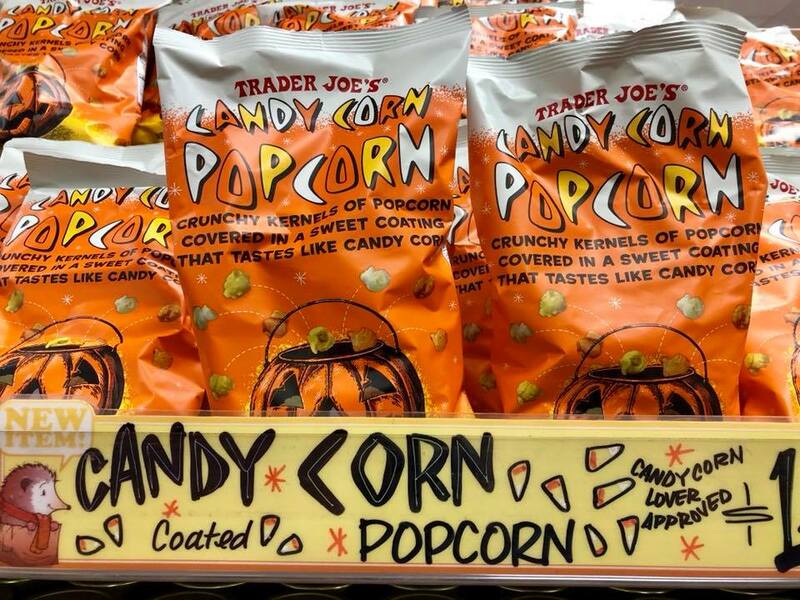 I recommend picking up a bag (or two) before candy corn season is over. Look -- there's a jack-o-lantern on the bag. Not just a pumpkin, a jack-o-lantern. I'm nervous these will be gone 11/1. *A friendly reminder that candy corn is great, Brach's is the only brand of candy corn you should buy, "Valentine corn" "Easter corn" and "Christmas corn" are not a thing and that the bags marked "Autumn Mix" with the big pumpkins and the corn with the brown stuff is terrible. You're welcome. Is the brown supposed to be chocolate? That's what I told myself as a kid. Yes. Supposed to be! ITS BAD! Like...I write over here too!